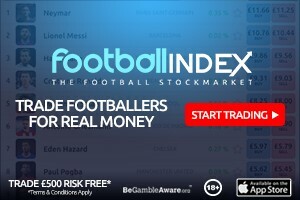 Here’s our fantasy premier league tips article where we analyse the teams of 10 top FPL managers. These 10 managers have not finished outside the overall rank of the top 10k in the last 3 seasons. Considering how variable the last 3 years have been this is remarkable consistency and shows an ability to adapt strategy in different seasons. It also gives you a view other than my own on strategy and player selection. 5 wildcards this week. We show them all. The criteria I’ve always been looking for is managers who’ve finished in the top 10k for the last 3 years when FPL has become considerably harder due to the anount of people playing and the information available. 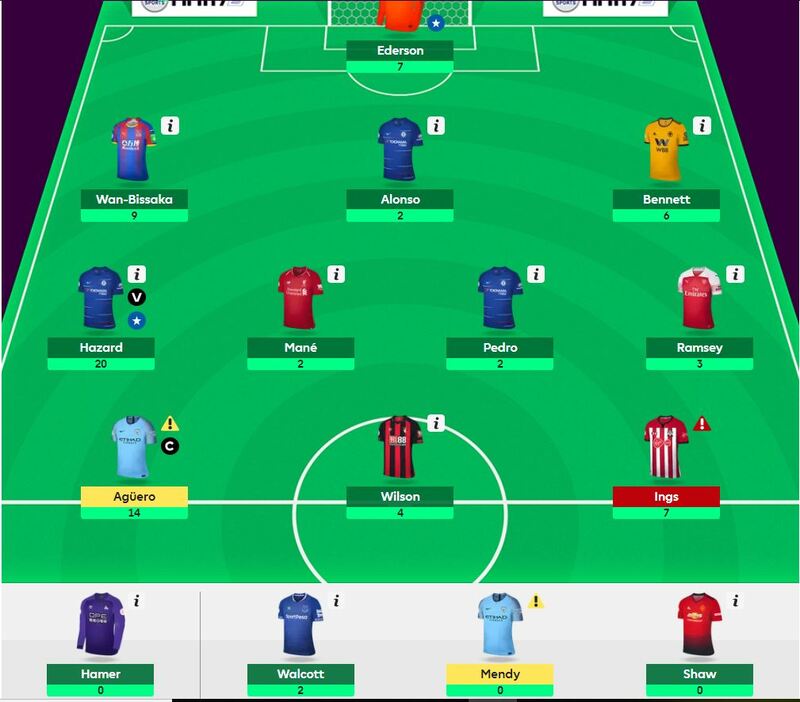 The average score of the managers in GW5 was 67 compared to the game average of 47. That’s 20 points and 47% above the game average score. High score of the 10 was 82. The low score was 55. 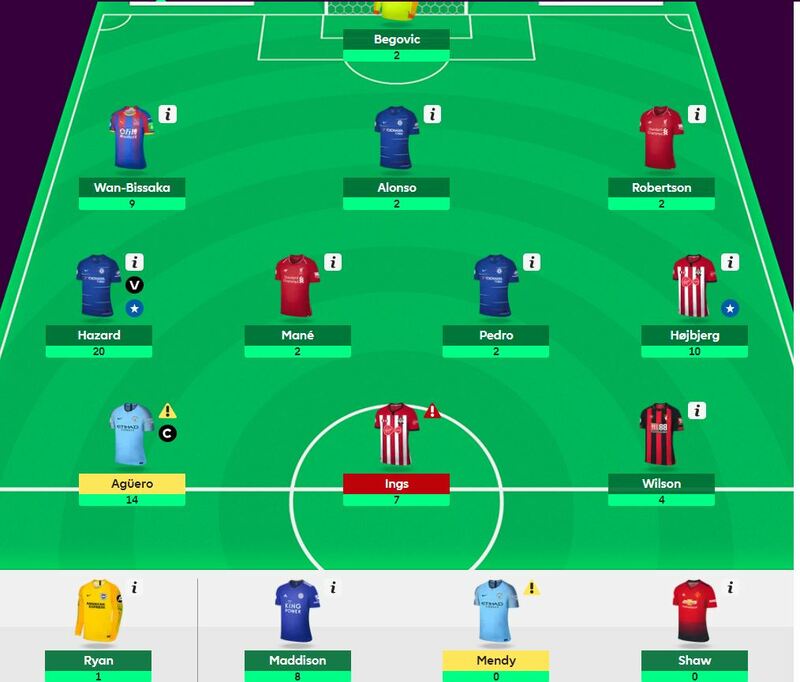 A spread of 27 for an average scoring gameweek. Although meaningless at this stage. 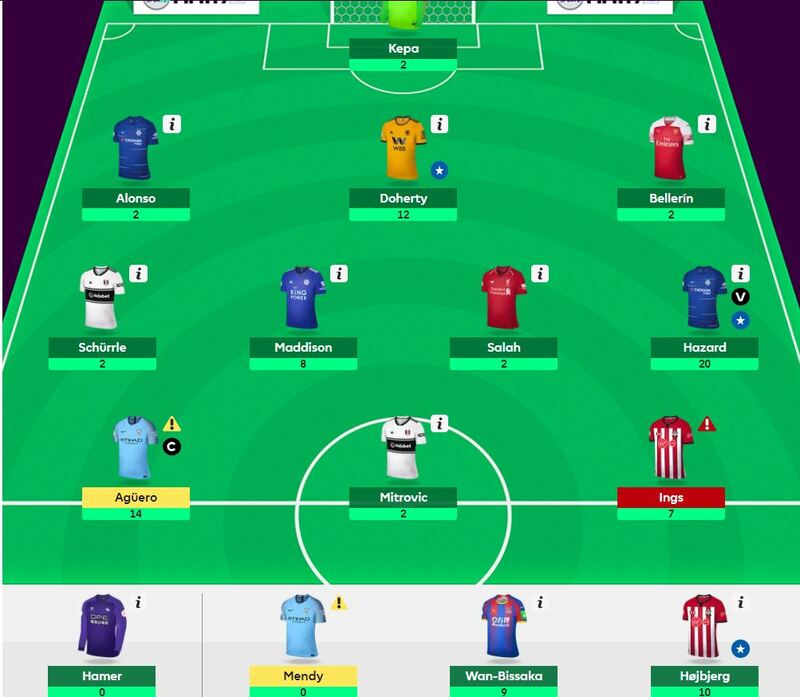 The average overall rank of the top 10 FPL managers is 141k. An improvement of rank of 69k from last week. The best overall rank is 7k and the lowest 572k. My score as you may have seen in my early FFGeek team thoughts article was a disaster with 49 points. 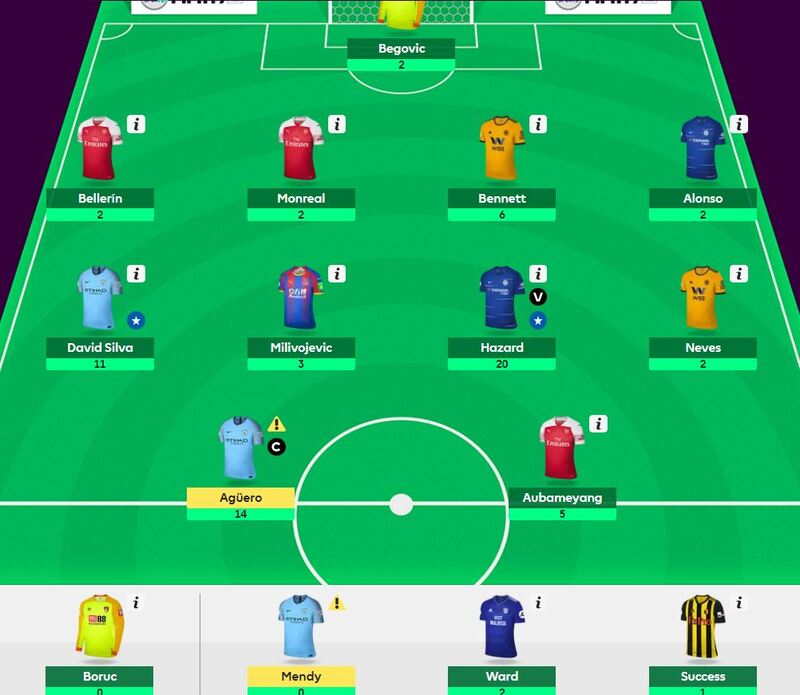 That was lower than all of the managers and my total points of 333 and OR of 109k is better than 5 of the 10 managers. Although again it’s of little relevance at this stage of the season. 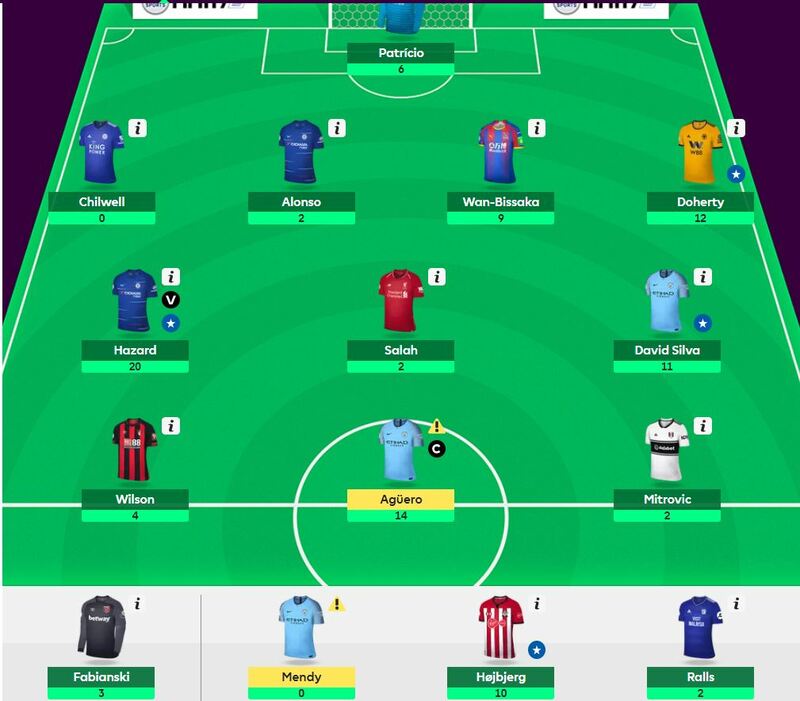 10 of the 10 FPL managers went with Aguero. The FFGeek poll was 80% Aguero and 11% Hazard. 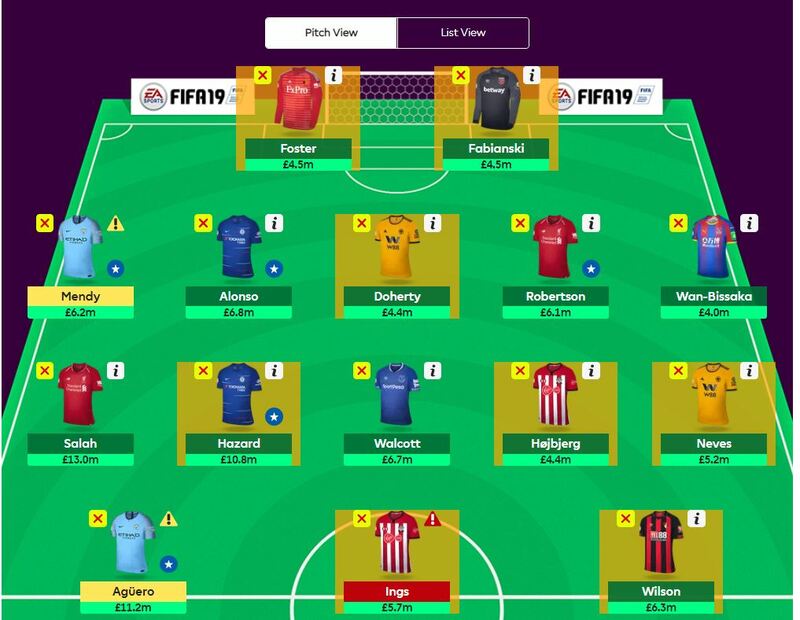 I’ve disregarded wildcard transfers this week as they’re too hard to track. I won’t be doing this until GW8 when it will have hopefully settled down. The weeks before hand could see too much rank volatility. Anyone or any defensive team that is owned by 7/10 of these managers I would take a lot of convincing not to own irrespective of my thoughts about them. In terms of serious managers likely to finish with high overall ranks I won’t be getting left behind by players that are owned by a large proportion of these managers.